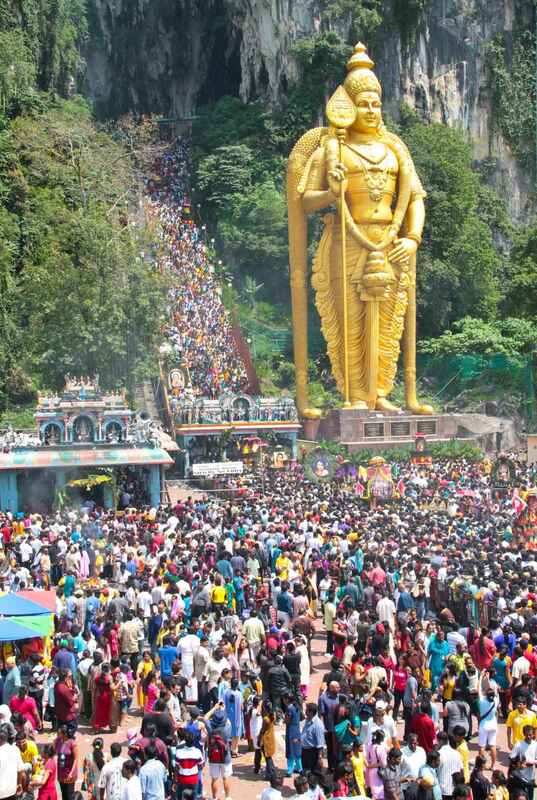 Batu Caves in short also referred as 10th Caves or Hill for Lord Muruga as there are six important holy shrines in India and four more in Malaysia. The three others in Malaysia are Kallumalai Temple in Ipoh, Tanneermalai Temple in Penang and Sannasimalai Temple in Malacca. It is also near Selayang where a famous and large wholesale market in Klang Valley located. At the base of the hill are two more cave temples, Art Gallery Cave and Museum Cave, both of which are full of Hindu statues and paintings. This complex was renovated and opened as the Cave Villa in 2008. Many of the shrines relate the story of Lord Murugan's victory over the demon Soorapadman. An audio tour is available to visitors. The Ramayana Cave is situated to the extreme left as one faces the sheer wall of the hill. On the way to the Ramayana Cave, there is a 15 m (50 ft) tall statue of Hanuman and a temple dedicated to Lord Hanuman, devotee and aide of Lord Rama. The consecration ceremony of the temple was held in November 2001. Below the Temple Cave is the Dark Cave, with rock formations and a number of animals found nowhere else. It is a two-kilometer network of relatively untouched caverns. Stalactites jutting from the cave's ceiling and stalagmites rising from the floor form intricate formations such as cave curtains, flow stones, cave pearls and scallops which took thousands of years to form. In order to maintain the cave's ecology, access is restricted. The Malaysian Nature Society organises regular educational and adventure trips to the Dark Caves. Batu Caves is also the centre of rock climbing development in Malaysia for the past 10 years. Batu Caves offers more than 160 climbing routes. The routes are scattered all around the side of Batu Caves, which is made up of limestone hills rising to 150 m. These climbing routes are easily accessed, as most crags start from ground level. These climbing routes often start from the North Eastern side of the cave complex whereas the staircase and temple entrance faces South. This North eastern area is known as the Damai caves. 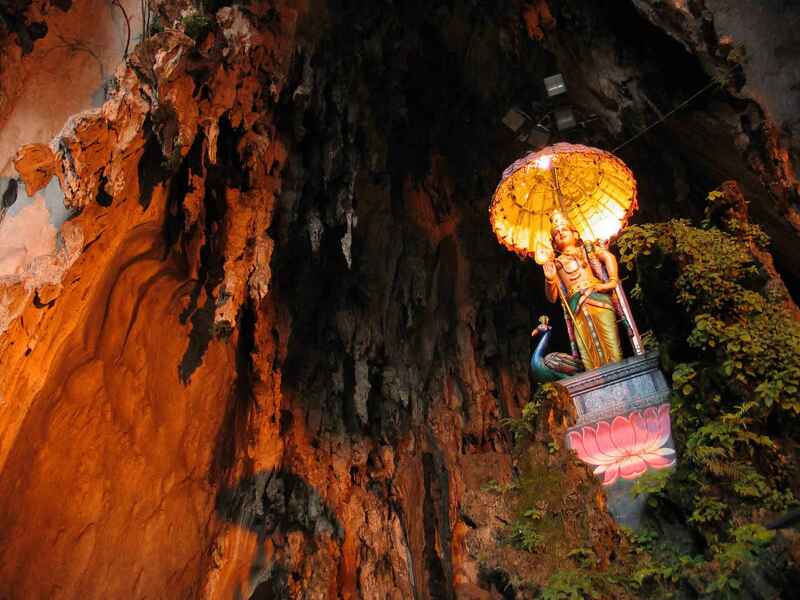 Batu Caves | eTips Inc.